If you’re like most warehouses or factories, you’re always searching for the most efficient methods and processes to produce maximum results, all while maintaining strict workplace safety standards. When it comes to increasing the efficiency and safety of your warehouse and manufacturing operations, let Sitecraft help with our quality range of pallet handling and lifting equipment. Developed and manufactured with safety first and foremost in mind, we offer an extensive selection of products to meet the specific requirements of a range of workplaces. Discover how we can help you. If safety regulators were asked for one piece of advice about manual handling risk in workplaces they would probably all say: avoid lifting. The target for reducing this common cause of injury even has its own ergonomic catch phrase – Large, Bulky or Awkward Items (LBAIs) – which makes the point that risk from lifting is not just about “heavy” objects (weighing more than 25 kg). And if safety regulators were asked for a solution for reducing manual handling risk they would probably all mention “pallet lifters”. These materials handling devices are typical of the technical improvements that are providing more effective and safer options for handling materials. The range of pallet handlers, movers and lifters continues to expand so that there are options to suit many types of workplaces, layouts and processes. The National Code of Practice for Hazardous Tasks 2016 adopted by most state safety regulators refers to the task of stacking goods onto a pallet as one of the common tasks that puts workers at risk. The document goes on to suggest pallet trucks, lift tables and lift trolleys as examples of mechanical solutions. The Palift is a spring loaded pallet positioner designed to eliminate the bending required when loading or unloading palletised products. WorkSafe Victoria’s long servicing Code of Practice for Manual Handling from 1999 that is still widely used for its ergonomic advice, gives prominence in the opening pages to pallet lifters as a recommended solution. It also features an image of a high lift pallet truck. The Victorian regulator has more specific advice in its popular Guide to Handling, Large Bulky or Awkward Items 2012. 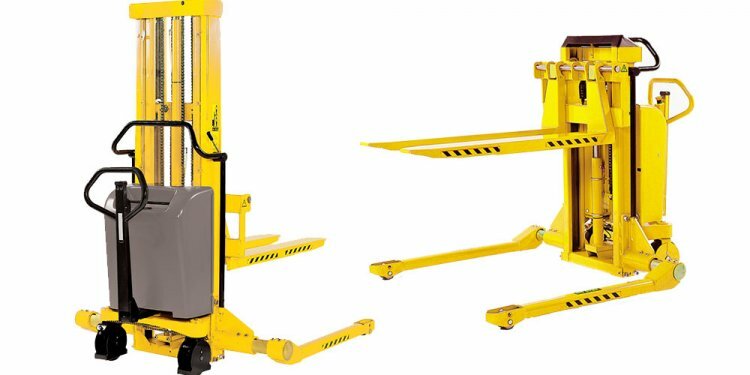 This guide repeats references to pallet lifters and movers of all types as recommended solutions to many tasks. Hydraulic scissor lift tables are widely used for heavy and repetitive lifting tasks, particularly in manufacturing operations. Lifting is the first among the main manual handling hazards in the workplace followed by pushing, pulling, holding, throwing and carrying. The risk is more hazardous if the task is repetitive and done over long periods of time. This type of work can result in a risk of a “musculoskeletal” injury. These include a bad back, overuse syndrome, strains to upper body, sprains and strains to legs, abdominal tears (hernias) and chronic pain. These injuries are now known collectively as “body stressing”. Safety regulators provide specific advice on manual handling solutions because of the sheer number of lifting and other related injuries clogging the workers compensation system. This makes unsafe manual handling the biggest problem in Australia’s workplaces. Every year regulators repeat the message that injuries could be prevented by adopting appropriate materials handling equipment to reduce the risk or even eliminate it completely. In an earlier era Australian regulators insisted employers manage the risk by identifying any unsafe manual handling in all tasks, assess the risk and determine an appropriate solution. This process was often onerous and difficult to do without knowledge of ergonomics. Today workplaces are encouraged to find solutions because the risks are now well known and the solutions more readily available. Workplaces must take this seriously. Safety inspectors in every state always target materials handling risk, especially lifting, when they visit a workplace. Under the Victorian Occupational Health and Safety Act 2004, for instance, employers must have a “safe system of work” in place to prevent any risk to their workers. That includes manual handling risk. Safety law specifically relating to manual handling risk in Victoria is found in the Occupational Health and Safety Regulations 2007 under part 3.1 of the Physical hazards chapter. This part states that employers must identify any task that involves “hazardous manual handling”. If that task poses a risk, they must put a control measure in place that is feasible for that workplace. The OHS Act comes back into play here by dictating that the cost of the control measure is not the dominant factor ie the price of materials handling equipment such as a pallet rotator or pallet dispensing equipment. The national model work safety Acts operating in other states set similar duties for operators of workplaces. Manual handling is specifically dealt with in the various national model regulations. For example, in the biggest state, NSW, manual handling is regulated under the Work Safety and Health Regulation 2011, the local version of the model regulations. The NSW “Hazardous manual tasks” requirement is in part 4.3 of the hazardous work chapter. This part simply states that the risk must be “managed”. When determining control measures, certain physical factors of tasks and the working environment must be considered which helps determine the right solution. That is not necessary when the solution is obvious. Our large range of motorised and manually operated pallet jacks and pallet trucks are designed to efficiently move a wide range of loads. We have options to suit almost any requirement in almost any workplace. For extra heavy weights, look at our high-capacity models; for narrow skids and pallets, our narrow width pallet trucks are ideal; and long models are available with extended tyre lengths. The versatile Quikstak smart stackers are much more than a pallet lifter. They are specifically designed to minimise the risk of repetitive strain and back injury whilst also improving productivity. Fitted with an infra-red height sensor, the Quikstak detects the height of the load. The fork height is then automatically raised and lowered to suit operator working height. There are two kinds of the international auto shipping transportation insurance when transporting the car at the international level: limited and comprehensive insurance. Comprehensive insurance protects your car from damages despite everything. Whether it is a mistake in transport company or not. Limited insurance can be also available. In such option of insurance, the company carrier doesn't bear damage liability, caused by extremities out of its control, such as nature disasters or weather conditions.